Part of my 2Go Travel experience is a tour at Iloilo and Bacolod. After ilang split, tumbling, hagalpakan at palakpak, we have arrived at Iloilo. Ladies and gentlemen, the delegates in our 2Go shirts! Since, it's almost lunch, go muna kami agad sa.. 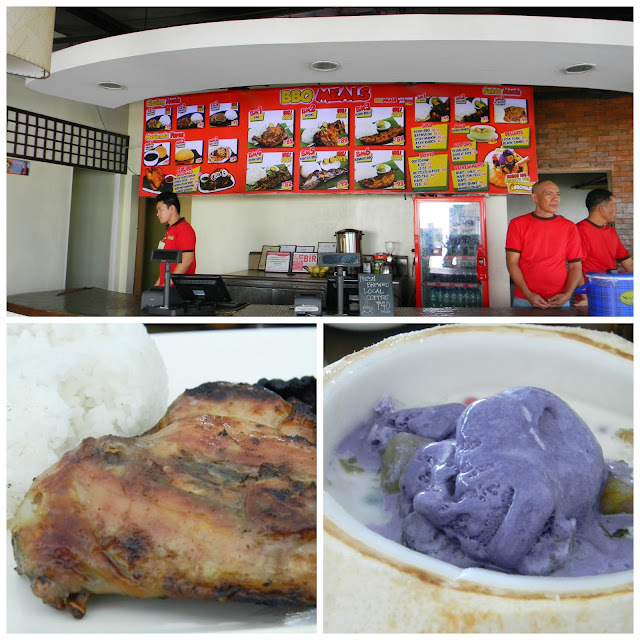 The inasal was great.. the Buko Halo,na first time kong matitikman-I super dig! Not only is it super oishi, it's super affordable din at 65 per order! Winnur! Must try din ang kanilang sizzling sisig. I can eat the whole plate, pramis! I always look for churches whenever Im new to a certain place. Im always fascinated with the architectural design, the intricate paintings and chandeliers, the story behind the walls. 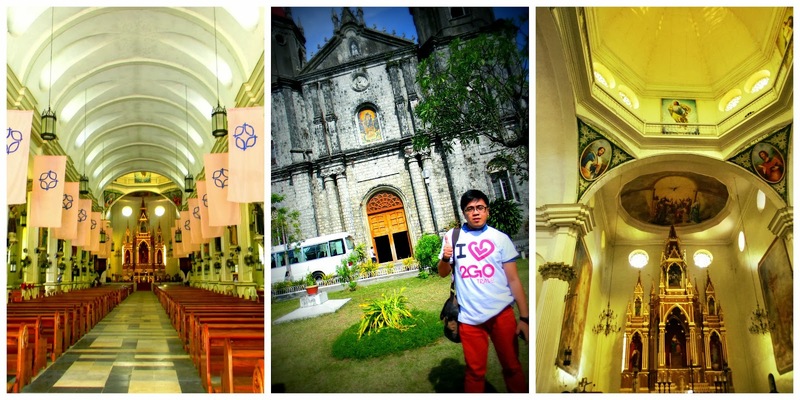 Iloilo should be proud to have more than 20 century old churches. If I have a chance to go back, I would love to visit more! 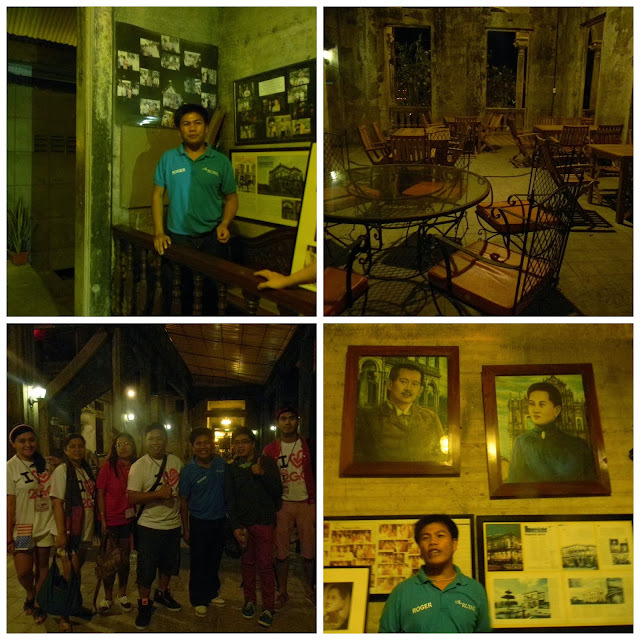 For pasalubong, we stopped by the Original Biscocho Haus. One's Iloilo trip is never complete without the taste of the authentic La Paz batchoy. So, attack naman kami sa Deco's. La Paz Batchoy- a hot bowl of soup with chicharon, noodles, meat and innards. Super sarap!! Perfect! And then we visited another church-the Jaro Cathedral, also known as the Metropolitan Cathedral of St. Elizabeth of Hungary. The painting on the ceiling of the choir loft is truly a magnificent work of art! A distinctive feature is that the bell tower is located across a busy street, on the Jaro Plaza. Typically, belfries are built next to their churches. In this case, the tower was adjacent to an earlier church, but an earthquake destroyed the church and left the tower. There's an interesting story too behind the image of Our Lady of Candles. Our tour guide told us, this image, when discovered for the first time stands at least a foot high. The same image here now stands at least 4 feet. The people of Jaro have witnessed the change in it's height leaving everyone puzzled on how it came to be. Before finally bidding Iloilo our temporary goodbyes, because I will surely come back, we stopped by its Kapitolyo, also a drop off center of relief goods for the victims of Typhoon Yolanda. On the deck of this 6 storey building, we had the glimpse of the beautiful Iloilo! After Kapitolyo, it's time to board the 2Go Supercat and visit Bacolod! It was more than an hour of super nakakahilong byahe by sea. Napawi ng Masskara dancers sa kanilang mataas na energy at wapak na wapak na high kick, split, head roll, tumbling at bonggang choreography na papasa sa makilatis na mata ni Maribeth Bichara ang naramdaman naming hilo sa byahe. Check na check! I super love the bonggang welcome sa amin sa Bacolod! We also stopped by The Ruins, with its equally famous tour guide, Roger. And finally, to satisfy our sweet tooth, we visited Calea, Bacolod-famous pastry house. I tried their blueberry cheesecake-one of their bestsellers-and it was heaven! I love! 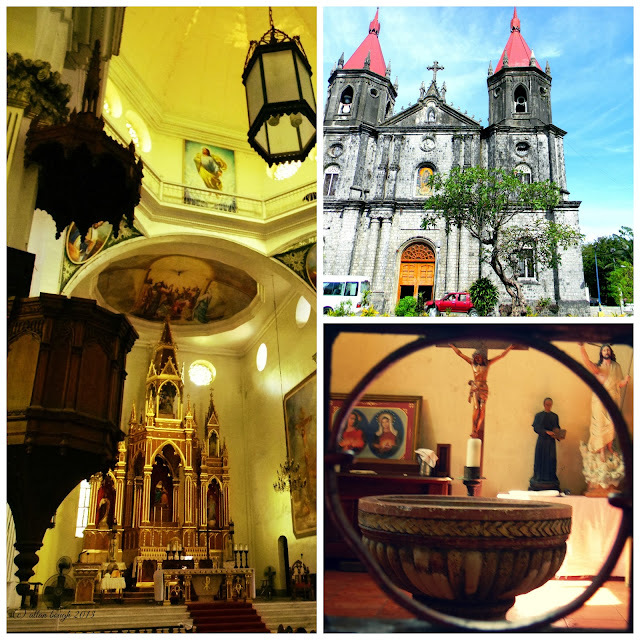 The whole 3 day mini-cruise and the trip to Iloilo and Bacolod was wonderful . Hindi man ako natuloy sa Calaguas to celebrate my birthday, this post birthday vacation was more than how I wanted to celebrate my big day. I never imagined I can have a hotel-like stay in a ship. The fun and the new found friends I met in this event will forever be cherished. Damin kong inggit dito especially nung nakita ko yung St. Ann Parish of Molo and Jaro Cathedral. My soul is craving for this type of adventure. I WANT! I WANT! I WANT! 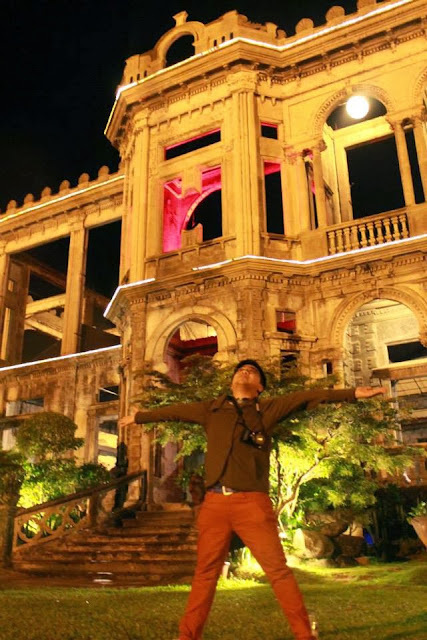 Gusto ko talaga bumalik ng Bacolod, as in now na!!! I will book a ticket if I can have the same experience like yours, like the VIP entry to the Captain's Deck. hahaha Otherwise, it's like missing half of the adventure you have in the 2Go ship..
Akala ko nga pang-umaga lang ang The Ruins. At least we got to see it during the night. Amazing! In fairness sa sisig! Masarap talaga siya pero bakit wala akong makitang photos non?! Nauna gutom bago litrato? Hehehe. There's no place like our own home country!! You've been to places like every Filipino should accomplish!! 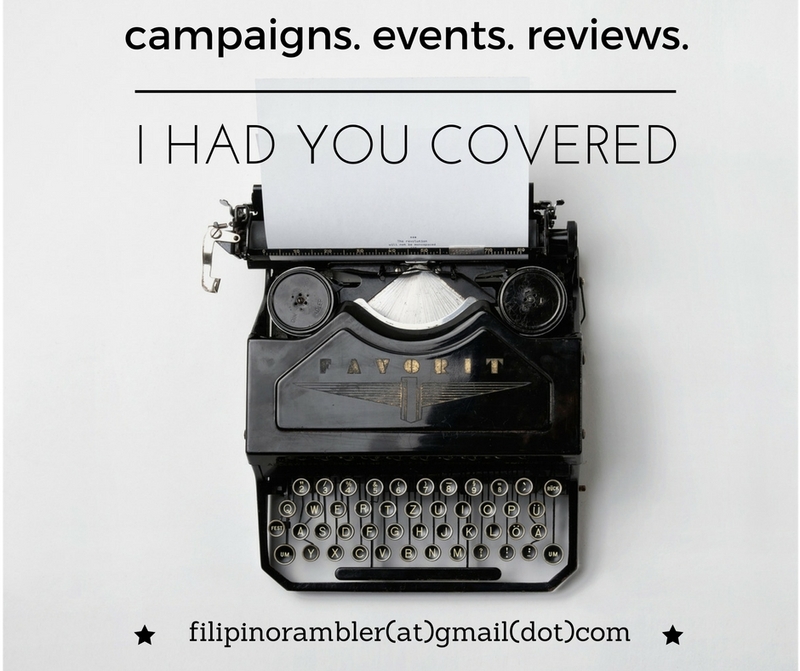 Thanks for sharing :) And more power to your blog! Hugs!